Here in Charlotte, N.C., we have spent the last three wintry days blanketed in snow. Now, this blizzard was serious business, and I don't want to minimize that fact, or romanticize the damage caused by the storm. The blizzard struck the North East U.S. on February 6 and February 7th, 1978, and did more than 500 million dollars worth of property damage. There were over one hundred fatalities, too, and nearly 5,000 injuries. 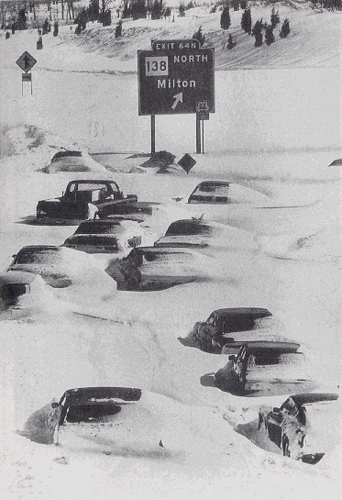 Make no mistake: the Blizzard of '78 was a big deal. The headline at the top of this post describes "winter's fury." In my neck of the woods -- Glen Ridge, NJ -- however, the blizzard was a cause for joy for eight year olds like me. Our front yard, on Clinton Road, was covered in snow several feet high. I remember my father shoveling snow from the front walk, into our yard, so that the snow accumulation would be even higher. And then he dug out several holes and tunnels, so that my sister and I had a multi-room igloo right beyond our front porch. The igloo was big too. I remember that you could crawl from a main room to a network of tunnels with at least three other rooms. Our next door neighbor and friend, Jeannie, had a room to herself. My sister had a room. And I had a room. Our beloved family cat, Penny -- a long-haired calico -- would even spend time inside the igloo with us. As a kid, I was utterly oblivious to the fact that such weather could be destructive. For me, these snow days were merely a unique occasion to play. I saw some slides my father took of the Blizzard of '78 recently (alas, I don't have a photo to post at this point.) and the huge snow pile/igloo actually made our house's lower roof accessible to us. You could stand on the top of the snow hill, and jump, basically, onto the roof in front of my bedroom window. I can't say for sure that I remember how many days of school we missed, but it seemed like a lot. I still recall the amazing routine of those snow days: We'd get kitted up in winter gear -- which took about an hour, it felt like -- and then head out, as early as possible, to get into our igloo. We'd stay there until we were frozen, or soaking, or both. I've regaled Joel for years with stories about the Blizzard of 1978, and my childhood experience with my first really big snow. It's the snowstorm, obviously, that I remember most, nearly forty years later. We got only one or two inches here in Charlotte this time around, but for Joel, this is the Blizzard of '016. He seems to be enjoying it very much. Our first morning in the snow together, he ricocheted a snowball off our basketball hoop pole, and it smashed me in the face. How did I not know you lived in Charlotte? John, I fondly remember the Blizzard of '78 as a boy like you. We had three foot snow drifts that had frozen so we hollowed out the inside to make an instant cave in our yard. My friends and I even played Space:1999 "Death's Other Dominion" Planet Ultima Thule with a makeshift Eagle interior being inside our house's basement family room sliding glass door[as Eagle passenger pod hatch] to the snow covered backyard. We all had our toy Stunguns, Comlocks, etc. to properly cosplay in the Blizzard of '78 aftermath. I am sure if it was post Empire Strikes Back we would have landed on Hoth. We had the whole week off from school and for days only snow mobiles were seen on my street. 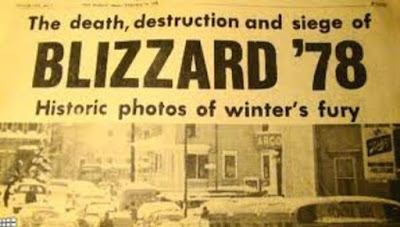 I too remember the Blizzard of '78. I grew up in Woonsocket, Rhode Island and by the time it was done, we had approximately 50 inches of snow on the ground. Woonsocket and all surrounding towns was closed to vehicular traffic for about a week. Interestingly, I had received a box of clay from my junior high school art teacher the day the storm started and I remember vividly carrying this heavy box home in the snow. 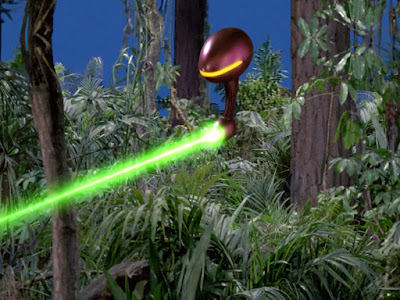 I did put it to good use though as I started making my own makeup appliances in latex while I was homebound. The first one I tried of course was my own version of the Planet Of The Apes makeup. Amazingly happy memories for an truly epic event.